Choose Your Roofing Package - Roofing Info - L.E. Schwartz & Son, Inc.
Schwartz Residential Roofing offers different options besides color to our customer. All our options come with our same professional roofing services. We will remove and dispose of the existing roof systematically and as clean as it can be. Removing an old roof is a messy process but we pride ourselves in our clean up. Crews are required to run powerful magnets over our work areas throughout the day to ensure we get all the nails picked up. Any rotten or damaged roof decking is replaced, up to 2 sheets (64 sf) of decking is included in our price. We install GAF ProStart starter shingles on both the eaves and rakes. Starter shingles are very important in reducing the risk of blow off. Most roof failures start at the edge of the roof. A good starters shingle helps seal the perimeter and hold the roof down during a storm. We replace all the plumbing pipe boots and install leak barrier in the the critical roof areas; valleys, roof to wall intersections, and around all penetrations through the roof. Most importantly at the end, we make sure to clean up so the only evidence we were there is the beautiful new roof and a sign in your yard. We can install many different roofing types including metal, slate, tile, flat roofs, etc. However, for an asphalt shingle roof we offer 4 options. All options include the items noted above but give you a choice in the style of roof, quality of the components in the roof system, and roof warranties. We understand that buying a roof is not a common item to purchase and that there are many roofing options. We want to educate you so you can make the best decision for your home. We are roofing experts and we have done the research to provide you with the best roofing options for your budget. This is the main reason we have chosen GAF as our roof manufacturing partner. Their roof systems and warranties are the best and they offer a range of roofing options. 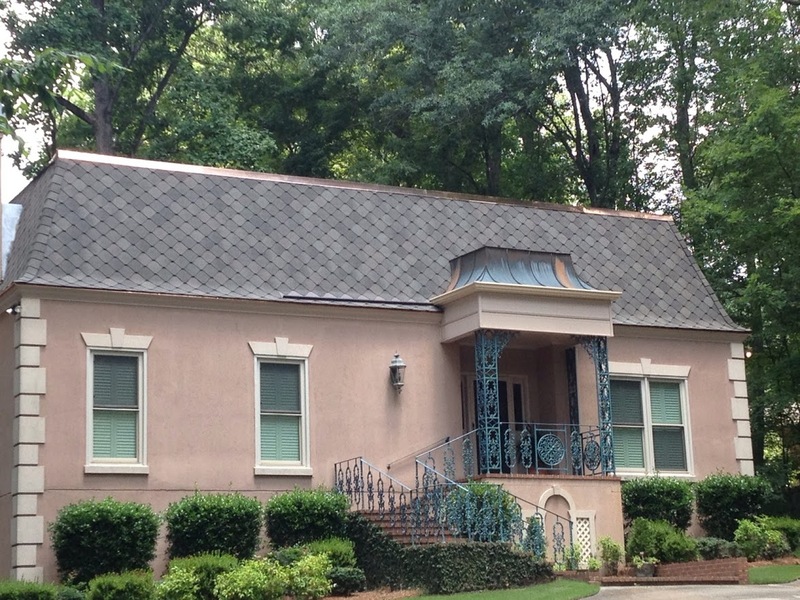 Need help deciding on a roof color or style? GAF has some excellent advice and tools to help you select the right color and style for your home. Visit the GAF Style and Color Guide. Our Premium Designer Option features the GAF Value Collection Designer Shingles to give an unique eloquent look to your home with GAF designer shingles. Want the look of slate, Camelot II is one of the most popular designer shingles we install. Or how about wood shakes, check out the Grand Sequoia. The Premium Designer Option comes with the GAF Golden Pledge warranty. This warranty covers the entire roof system for 50 years, non-prorated. That means if the shingles fail 35 years from now, GAF covers the cost of materials and labor to reinstall new shingles, at the current price. 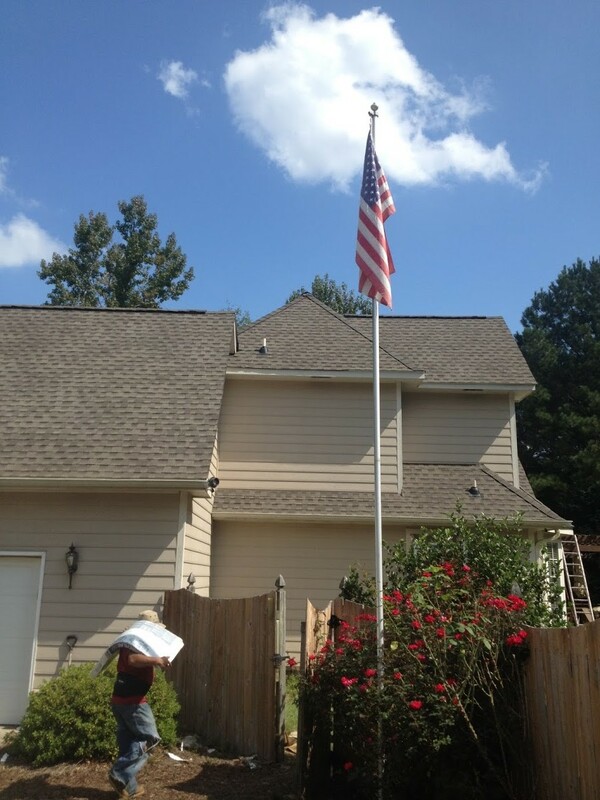 Not only do they cover their roof material, they also cover our workmanship for 25 years. A GAF representative will inspect the roof when we finish to ensure it meets their specifications. 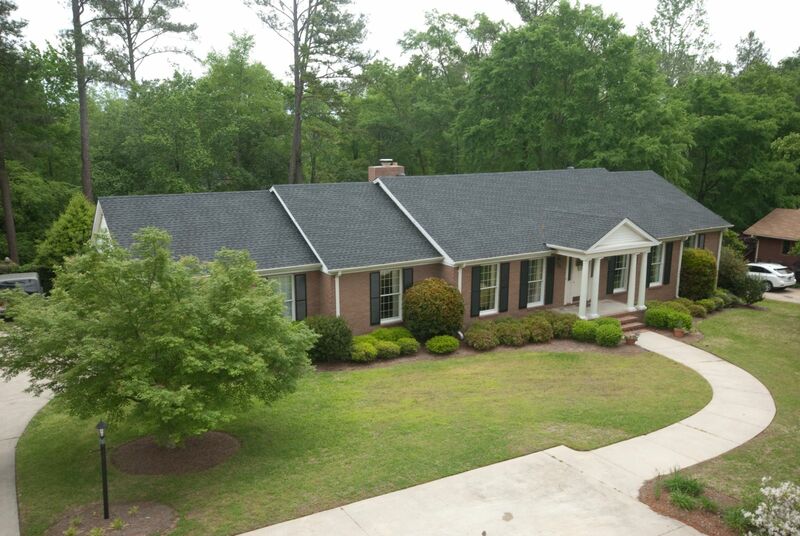 No other residential roofing company in Middle Georgia can offer you this protection. The protection you get with the Golden Pledge and the look you received with the Designer Shingle will add value to your home. Not only do you get the warranty and designer shingles, we also upgrade the deck protection. Instead of 15# felt, we will install GAF Tiger Paw Sythetic Underlayment. This is your last line of defense against Mother Nature. 15# felt easily tears or rips. Tiger Paw is at least 600% stronger than 15# felt. And it's covered under the Golden Pledge Warranty along with the Weather Watch leak barrier and the rest of the roof system. 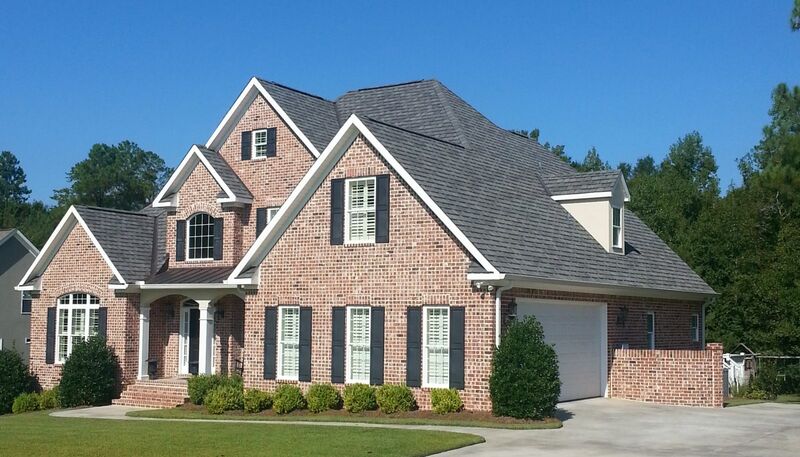 The Premium Option features GAF Timberline HD shingles. The "High Definition" color blends and shadow effects give the shingle a wood-shake look. GAF has done extensive research and testing on their shingles and were the first to offer a lifetime warranty on an architectural shingle. GAF's Dura GripTM adhesive seals the shingles together and reduces the chance of shingle blow off. HD's are warranted to withstand 130 mph winds. The Golden Pledge warranty comes with our Premium Option along with the upgraded roof deck protection, Tiger Paw. Also included with this option are Timbertex Hip n Ridge Shingles. Most roofers in Macon and Warner Robins use field cut 3-tab shingles for hip n ridge. This makes no sense to us because the 3-tab shingle only has a 25 year warranty while the field shingle has a lifetime warranty. Not only does the Timbertex fall under the Golden Pledge Warranty, it also looks better, much better. The hips and ridges on a house give it definition. Timbertex accents the ridge lines giving a shadow effect for a much more striking look as it accentuates the natural beauty of the Timberilne HD shingles. Not only is the warranty better with Timbertex and they look better but they also preform better. They were designed for the hips and ridges and are multi-layered to give you maximum protection. With the Premium Option you get the best warranty and the best architectural shingle. The Standard Option includes the GAF Timberline HD shingles and Timbertex Hip n Ridge shingles. We install 15# felt roof deck protection. This option comes with a 10 year LE Schwartz & Son workmanship warranty. Many roofers will give you workmanship warranties but can they back it up? How long has a company been in business? Do they have a track record? Are there complaints on Angie's List or the BBB about their roof warranty? These are questions you have to ask when comparing warranties. LE Schwartz & Son has been in business since 1910 and we stand behind our work 100%. Sometimes things happen and we are not perfect (although we strive for perfection). When problems do arise we see this as an opportunity to truly set us apart from the competition. We work quickly to resolve issues and get them corrected. This is what separates great residential roofing companies from good companies. Along with our 10 year workmanship warranty, this option includes the GAF System Plus warranty. This warranty is the same as the Golden Pledge only it does not cover our workmanship and does not come with an inspection from a GAF representative. Our Economy Option includes 15# felt, leak barrier in the valleys, along walls, and around penetrations. In also includes our 10 Year LES workmanship warranty. 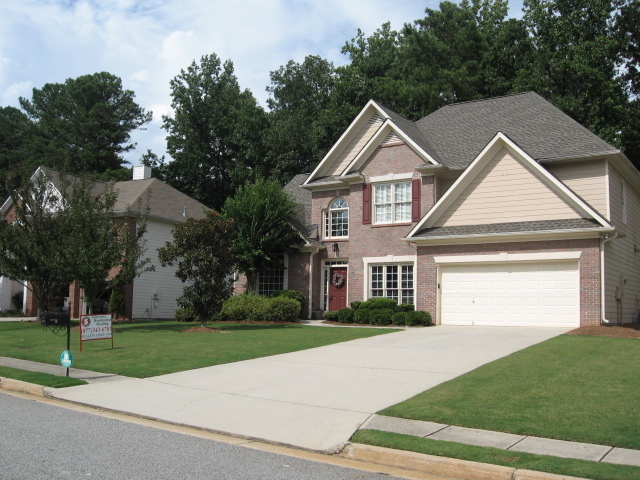 We install GAF Royal Sovereign 3 tab shingles that come with a 25 year material warranty.